Here at Vendon, we take care of everything: the hardware, the software, and the people who use our product. 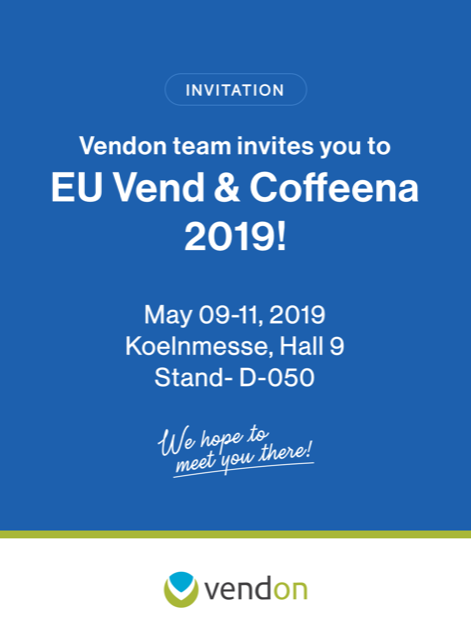 Operating under the Draugiem Group, a key player in the IT industry of Latvia, Vendon has become one of the leading export companies in the group, our solution being used in over 70 countries. The team that began as a two-people affair has evolved into a tight-knit group of seventeen eager professionals, with an excellent network of partners in various regions to provide top-quality services across the globe. Chance has driven some of the most amazing scientific discoveries, and serendipity had a major role in the emergence of Vendon. A lucky encounter in September 2009 between a vending business operator and capable engineers with creative minds turned a simple request of an SMS payment solution for vending machines into a complete telemetry solution as it is known today, in 2018. One of these tech wizards was Edgars Bināns, CTO of Vendon. At the time, he was a developer at MapOn, another company in the Draugiem Group. Edgars spent four months on creating the software for the first prototype together with an electrical engineer who constructed the hardware unit. The first tests were carried out at the Draugiem Group’s office in January 2010.
and left its parent, MapOn. Vendon is not just a story of lucky chances, it is also a story of growth. As our product grows, our people grow with it. Kristiāns Vēbers, who is now CEO of Vendon, joined the newborn company in May 2011 as a developer, having spent several years at the Draugiem Group. In fact, his knowledge was essential in separating the system from MapOn so that Vendon could become a standalone entity. He progressed to Senior Developer, and assumed the role of Development Team Lead in 2014, and just two short years later Kristiāns took the reins of the company in his hands to steer it onto a path of rapid development. However amazing the product might be, it is only worth perfecting if there is someone who wants to use it. And this is where Anita Petrova enters the picture. She joined Vendon in 2012 as Key Account Manager and became the bridge between the development team and the end user of the Vendon solution. This was a huge responsibility and required learning the product inside-out, a sure challenge for someone without a technical background. At the start, Anita managed everything, from customer support to logistics to accounting, to sales, to development projects, and even sorted cables and compiled the first manuals. With all this knowledge in hand, she now leads the development team and ensures that the needs of the clients and the available resources are perfectly balanced. The road to success has not always been an easy one, with many bumps along the way, seemingly overcome out of sheer spite. This resilience is weaved into the very essence of Vendon, and it has paid off. We are moving forward at a steady pace, both feet firmly on the ground. We have set ambitious goals, and we are always on the lookout for new ways of giving our clients more. Following the growing popularity of coffee machines, our future efforts will focus on providing greater options to coffee service operators, while we continue improving our existing solutions. The manufacturing plant is located in Ventspils, 180 km from the capital of Latvia. State of the art 5500 sq.m. HansaMatrix production facility provides PCBA and full box build fully traceable manufacturing services with quality system certified to ISO 9001, ISO 14001 and ISO 13485. HansaMatrix provides complete manufacturing service including supply chain management, component supplier approval, product assembling, final testing and packaging. Due to its high manufacturing capacity, engineering expertise, superior quality control and local presence, HansaMatrix is Vendon's preferred manufacturing partner.